D&I Strategies: Straight from the Front Lines | WOMEN Unlimited, Inc. I recently hosted our WOMEN Unlimited webinar, Diversity and Inclusion: A Conversation Between Two Leaders. 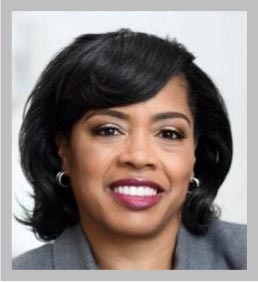 It was a fast-paced and informative give and take between myself and Michele Meyer-Shipp, Chief Diversity and Inclusion Officer for the NYC-based law firm, Akin Gump Strauss Hauer & Feld, and former Diversity Officer at Prudential. In response to my question about how to create a comfort level when discussing race and gender, Michele indicated that “you have to start by meeting people where they are.” As a result, she asks open-ended questions and tries to get to know the person. Usually, the manager or executive will then say something that sets the stage for an honest, meaningful conversation. From an organizational perspective, she also meets the organization where it’s at. She travels around the country and around the world to different offices, gaining a solid grasp of the history and culture of the organization. It allows her to hear key themes and pinpoint differences from region to region, which works to inform the needed strategy, agenda and focus. 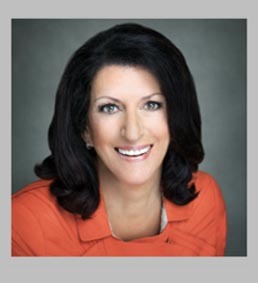 Michele has “navigated the world as a woman of color” with diversity and inclusion part and parcel of both her personal and professional lives. She has coined a wonderful term: “conscious inclusion” because “if you have a brain, you have bias.” It’s a strategy that helps people understand their particular biases and move past them. She has a phrase that has “saved the day” for her time and again. It’s: “Help me understand what you mean by that.” She pointed out that “no matter how outrageous the comment, it leads to a respectful, civilized dialog.” It helps her hear where the person is coming from without being judgmental…a vital first step in moving forward, whether or not she sees eye to eye with the individual. As always with WOMEN Unlimited Webinars, we allowed time for questions from participants. In response to a question about how to measure and monitor D&I results, Michele indicated she utilized recruitment demographics…professional development progress, including who is being promoted and who is attending development programs…and employee opinion surveys. She also emphasized the importance of using the same criteria across the board. Michele’s response to one of our final questions: “How do you keep affinity groups from becoming social groups?” underscored her experience and her talents: “You take the group and align it to your strategy.” For example, she asked groups to come up with business plans to drive diversity and inclusion. Within six months the groups had come up with very robust plans and the plans were funded according to their potential impact on D&I. Participants indicated during and after the Webinar that it provided them with meaningful insights for moving forward with their own D&I initiatives.